June 2016 – CDR S.r.l. announces the new agreement with the company ATP Group for the exclusive distribution in USA of the CDR WineLab® analysis systems. CDR WineLab® provides an innovative solution in the quality control of wine, wine making process, treatments on wine and must and in oenological strategies. CDR WineLab® is already used by oenologists, wineries and laboratories in many countries worldwide. 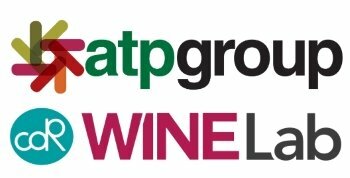 ATPGroup (ATP), founded as a family business in 1991, is a leading supplier of acidulants, fine chemicals and production equipment to the wine, beer, food and pharmaceutical and industrial markets across North America. They have grown rapidly to become one of the premiere suppliers to the wine industry. ATPGroup offers a full line of products and services, including chemicals, specialties, equipment and technical expertise. To complement ATPGroup’s extensive product portfolio, their team is made up of industry veterans, engineers, cellar masters, and product specialists. For this reasons CDR S.r.l. has decided to entrust ATP with distribution in the USA market of the CDR WineLab® line, which can represent the new way to perform quality control on wine and must. New distribution agreement of CDR WineLab®, wine analysis system was last modified: May 22nd, 2017 by CDR s.r.l.